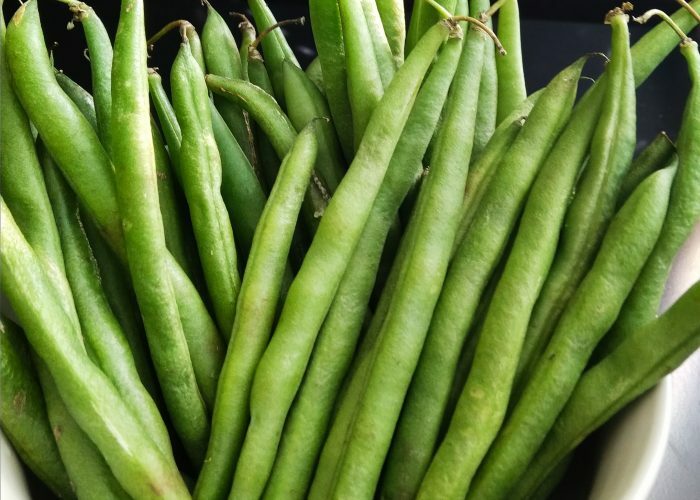 Also known as snap beans, wax beans or string beans, green beans usually abound in the spring season, though better quality crops can be grown in the fall season. Green beans can be further sub-categorized into ‘pole beans’ or ‘bush beans’ depending on whether they require poles for support during growth or not. Long, skinny and deliciously crunchy, green beans are generally consumed whole (pod and seed) as vegetables and are considered an immature unripe variety within the broad category of legumes. This makes them different compared to mature forms of legumes that are cultivated primarily for their seeds, such as pinto beans, white navy beans, black beans, red kidney beans, and chickpeas. Green beans are a great source of nutrients like protein, fiber, potassium, vitamin K, copper and magnesium. Just one cup of boiled (unsalted) green beans (equivalent to 125 grams in weight) gives you more than 2 grams of protein, 4 grams of fiber and already a fifth (22%) of one’s daily vitamin K goal! Green beans also provide vitamin A and small amounts of certain B vitamins. Green beans are available fresh, frozen or canned. They can be chopped and put into salads, soups, stir-fried, sautéed or grilled. They can also be added into curries or casseroles, lentil shepherd pies or even diced and put into pot pies! Green beans, fresh, cooked (no salt or fat added) – nutrient info. Food-A-Pedia. https://www.supertracker.usda.gov/foodapedia.aspx. Accessed April 11, 2018.